Fifteen months ago, I was visiting some friends at the campaign headquarters of Henrique Capriles. We were shooting the breeze, excitedly talking about the nascent candidacy, looking out at the Ávila on a gorgeous afternoon, when in walks a lady. I remembered him mentioning her an hour or so before, talking about the important role she was playing in the campaign-messaging decisions. The question took me aback. I was half-expecting Fulana to wink, or chuckle, or not give my post any importance. After all, don’t people write negative stuff about Henrique every day? Who cares what someone writes in a little blog … written in English? But her response, with her eyes narrowing to slits and the smile wiped from her face, was all business. She was serious: was I a friend … or an enemy? That’s the point I lost my way. This post is a mea culpa of sorts. As I digest what happened on Sunday, one of the things I regret the most is how this blog – or at least the small part I am responsible for – lost its ability to think critically and found itself increasingly in the role of cheerleader. The reasons for this are varied. Obviously, the desperate desire to get rid of Hugo Chávez is tops. But it goes beyond that. I have several close friends working with Capriles, people I admire and respect and who I am in touch with. As I continued writing about the Capriles campaign, I started noticing that many of the campaign’s themes were stuff we had been barking about for years: the focus on the small cities and the country-side, the appeal to moderate chavista voters, the emphasis on building on Chávez’s legacy rather than running on vows to destroy it. Without being a part of it, I felt completely in synch with the campaign. I willfully put myself in the bubble. I was…inebriated. When people I have known forever and respect, such as BofA’s Francisco Rodríguez, insisted Chávez was going to win comfortably, I pooh-poohed out the negativity. When another friend I respect insisted that the whole “the undecideds are hidden Capriles voters” conclusion and other such nonsense were wrong, I ignored her. “When, in order to convince yourself you’re gonna win, you have to take a poll and start projecting, taking the second derivative, and applying logarithms, you’re not in a good position,” she said. 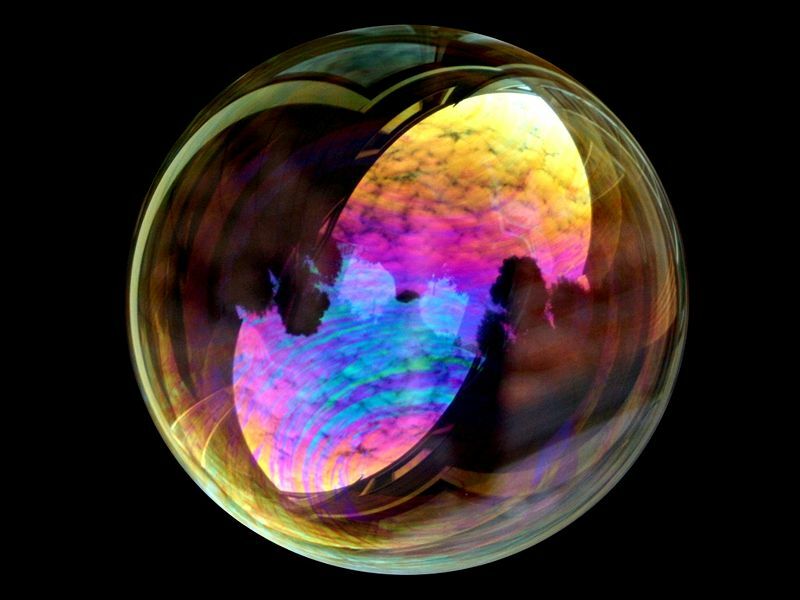 It was too comfortable inside the bubble, and applying critical thinking was going to lead to painful conclusions. Shun the pessimism, I thought, much like what many are saying today. The oil boom is a mirage, and only one factor of many. If people are killing themselves in the streets, I thought, that surely has to weigh about as much. After all, what good is a washing machine if there are daily blackouts? Surely, Henrique’s perfect campaign will capitalize on this – and let’s face it, it was a pretty darn perfect campaign, I still believe that. Part of being in the bubble meant glancing over deep differences I have with several of Capriles’ main proposals. “No public employees are going to be fired” sounded like a terrible idea to me, but I didn’t say anything about it because it seemed like it was a winning position to take. Besides, if Capriles really believed in that, what was I going to do, vote for Chávez? Continuing to say we can have cheap gasoline AND no rationing chip AND no rationing of any other kind was simply illogical, but I chose to simply comment on the brilliance of the latest Capriles ad. Vowing that the Misiones would not be changed, only improved, was simply hogwash, but I only criticized it mildly … and moved on. And let’s not even mention “cada vez son miles y miles y miles, cada vez son miles que están con Capriles” … which is not even grammatical! But I chose to keep quiet. I truly believe Henrique Capriles meant all the stuff he said, but looking back, I should have been hammering him for it. I deeply admire Capriles and continue to support him, but I shouldn’t have looked the other way. I don’t do him or his people any favors by withholding my criticism. So yes, dear readers, I was wrong, and I misled you. This, however, does not mean I did it on purpose. I did not knowingly mislead. Everything I wrote, everything I write, reflects what I believe in the moment that I write it. I was in the bubble, but I did not realize it until now. I chose to focus on the positives instead of the negatives, but I did not do so with the intent of misleading. And writing my opinion is something I cannot apologize for, since that is what blogs are: opinion pages. There is still time to reflect, and there will be another post talking about where I think the opposition goes from here. But from now on, I promise to sharpen my critical thinking, to do my best not to fall into group-think again. The results of writing from the bubble are too painful, and I owe it to you to be better than that.